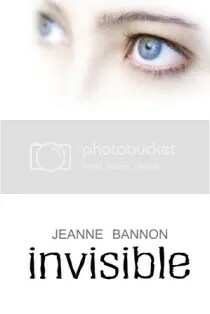 Today, I’m interviewing fellow author Jeanne Bannon, whose book, Invisible, has been released by Solstice Publishing. First off, welcome to my little corner of Net, Jeanne, and why don’t you tell us a little about yourself? Jeanne: Hi Geoff. Thank you for having me. I’m a freelance editor and have worked in the publishing industry for over twenty years. After years of editing, I decided it was time to do what I love most, writing. Invisible is my debut novel. Geoff: In a nutshell, what is Invisible about? Jeanne: Invisible is a young adult novel about a 17-year-old girl named Lola. Lola doesn’t fit in anywhere. She’s not pretty. She’s not popular. She wishes she could disappear and one day she does. Geoff: What was the inspiration for Invisible? Jeanne: Lola is a victim of bullying and for a couple of years in grade school, I was too. I remember wishing I could simply vanish. I suppose it came from that dreadful experience. Geoff: When you were writing your novel, did you encounter any major stumbling blocks along the way? Jeanne: Not with this one. Invisible was incredibly easy to write and I had it finished in four months. It was a gift and I probably won’t ever have that experience again. I wrote Invisible while on a break from another novel. I’m still working on that other novel! Geoff: What was your favourite scene in the novel, if you have one? Jeanne: I don’t want to say because it will give away something important in the novel, but it was a turning point for Lola. A point where she has to face her ‘super power’ alone. Geoff: Did you base any of your characters on real people? Jeanne: A wee bit. I took small bits and pieces from family and friends, but none of the characters are entirely based on anyone I know. Geoff: I like to ask you how your experience with Solstice has been thus far. As you know they’re an up-and-coming publisher, with a rapidly growing stable of authors. How has your experience with Solstice been, from initial acceptance of the manuscript on through to publication? Jeanne: So far so good. I like interacting with all the other Solstice authors and the feeling of support I get from them from our little yahoo group. Since this is my first book, I have nothing to compare it to. Solstice moves fast, which is something I like. Both the e-book and paperback versions are now available. Geoff: Do you have any words of advice for people out there just getting started on the road to authordom? Jeanne: The best advice I can give is to find a great writing critique group. I found one online and made great friends and received invaluable advice. Geoff: Now that Invisible is out, what is the best way to get a hold of a copy? Jeanne: Invisible is on Amazon, Smashwords, and of course can be purchased from Solstice Publishing directly. Geoff: What else do you have in store for readers? Would you care to say what you’re working on right now? Jeanne: I’m finishing up my paranormal thriller, Dark Angel. I hope to have it polished to a high gloss very soon and ready to shop it around by the end of the year. I’ve had several short stories published and won first place in the Writes of Caledon Short Story Contest. My novels, The Barely Boy and Dark Angel were finalists in the 2010 and 2011 Strongest Start Contests. One of my short stories, “Thom’s Journey”, is part of an Anthology entitled A Visitor to Sandahl and is available at Amazon.com. …or follow her on Twitter! You can also view Jeanne’s book trailer, too! I’ve been busy with real-life stuff for the past several weeks, but in accordance with my post on writing regularly, I’ve been maintaining my momentum. Since late September, I have been able to write at least 300 words per day, on average, and in the process I have completed a new short story (a total of 52 hand-written pages), and I’ve made headway on a second one. More details on those to come. I also have another release coming – stay tuned!